Today was the library Come Stitch With Us Session, which in theory is an opportunity for 3 hours of stitching. In reality it is a bit of stitching and a lot of coffee, cake and chats with good friends. 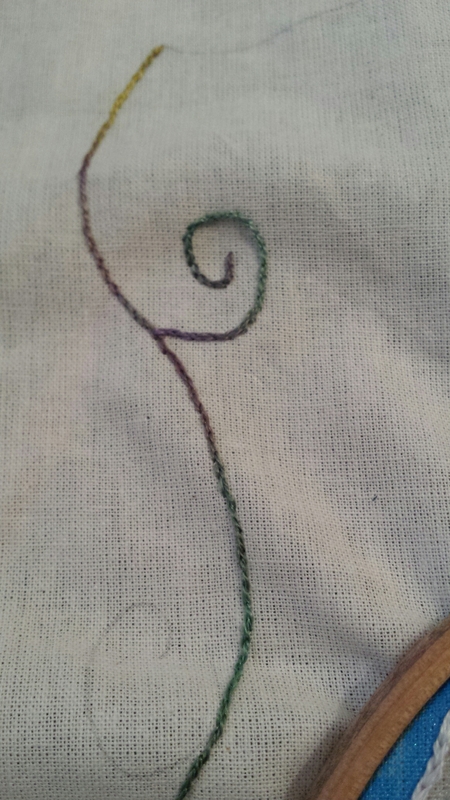 So all I stitched was a curling split stitch line in a frame around part of my Tolkien piece. The Birmingham Embroiderers ‘ Guild library sessions are always great fun. If you’re local, why not join us next time? We meet on the first Saturday of the month, more info here.